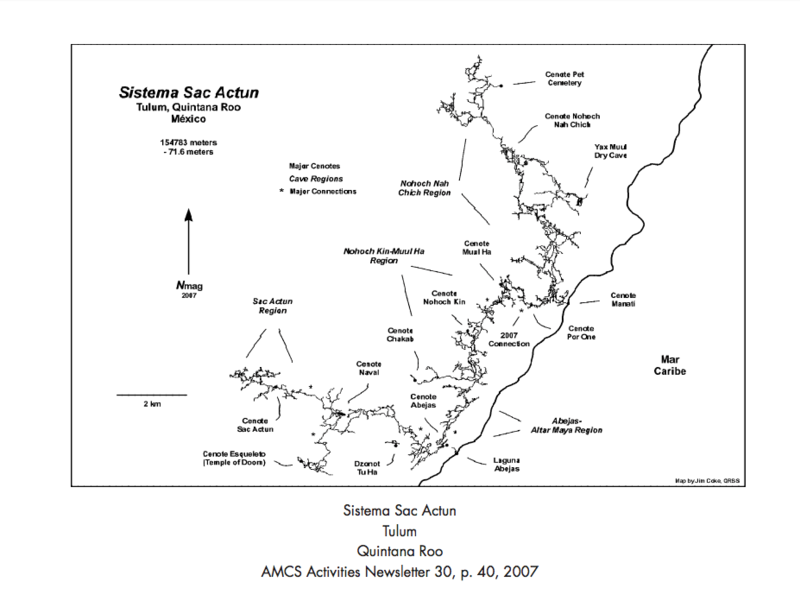 Cave explorer Robert Schmittner (Robbie) with the Gran Acuífero Maya group, led by National Geographic’s explorer in Mexico, Guillermo de Anda, have found the most extensive flooded cave system in the world. 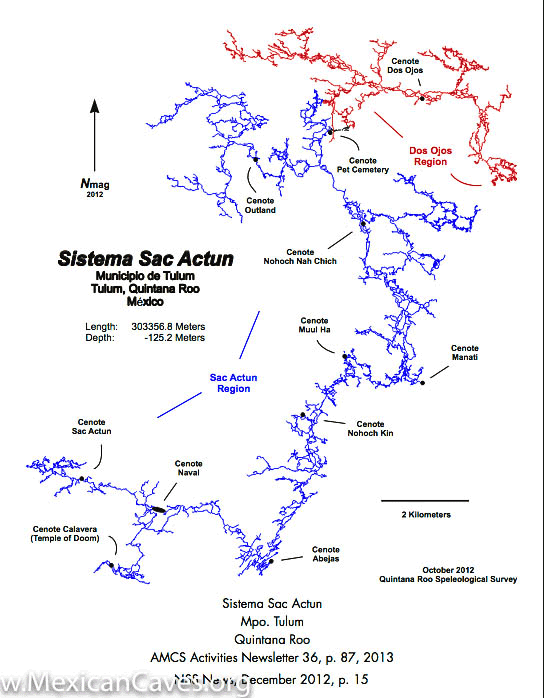 Robbie has finally found the connection between the world’s 2nd most extended Cave System (Sac Actun System) and the 4th most extended (Dos Ojos System), both located in the Riviera Maya, Mexico. Just outside the town of Tulum, many Cave Divers have been exploring these two cave systems trying to find this connection for decades. Robbie himself had been looking for this connection for over ten years. 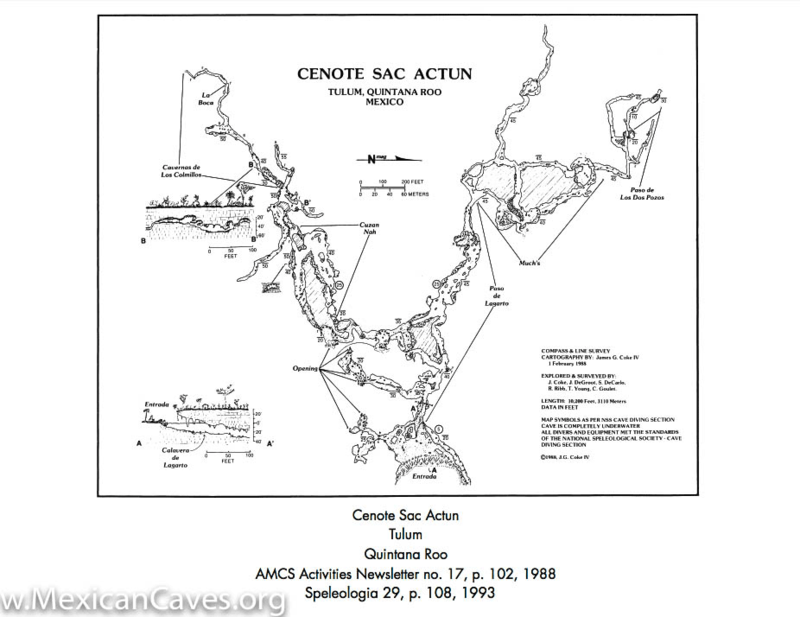 In January 2018, Robbie and his team of cave explorers, in the Gran Acuifero Maya project, “pushed the lines” until they found the passage that finally connected the two systems, making Sac Actun the most extensive underwater cave in the world. Here is how it works: A cave exploration may start with a single entrance point, once a second entrance is found it becomes a ´system.´ When two systems connect, the larger one keeps the name as it happened in this case. 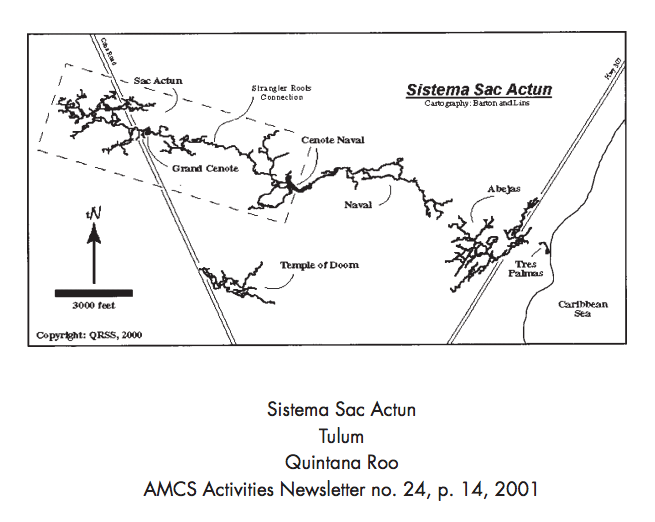 At the moment of the connection, the Sac Actun system had 263.79 kilometers of cave already explored, while Dos Ojos had 83.3 kilometers of explored passages. 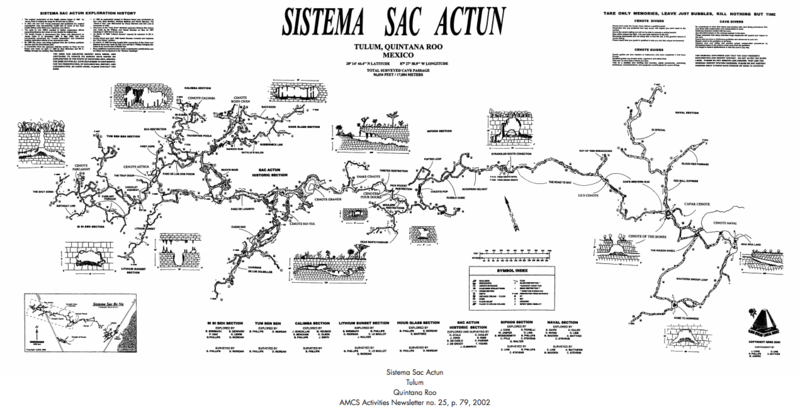 In this case, Sac Actun, which means White Cave in the Mayan language, keeps its name and now measures 347 kilometers, making it the longest underwater cave in the world!! The Mayan Riviera has been home to hundreds of cave divers and explorers for the last 40 Years. 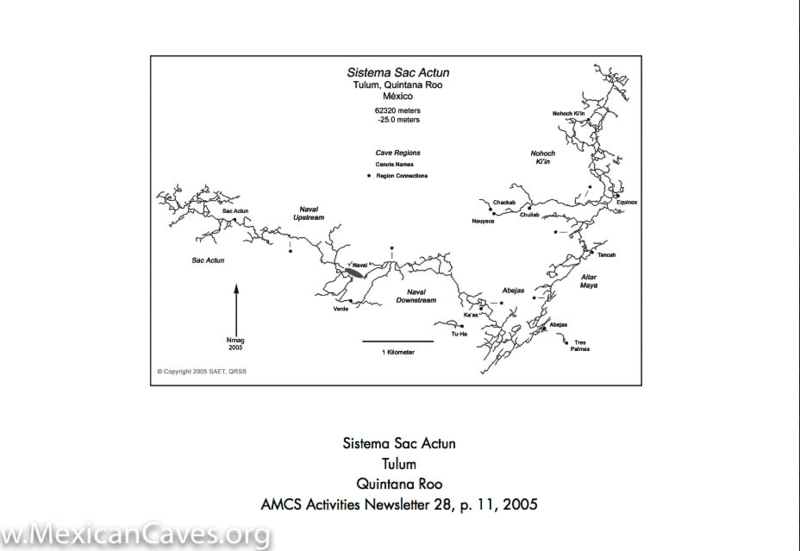 This area of Mexico has become the best place in the world for cave diving and cave diving training. 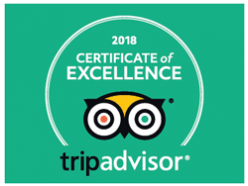 The Riviera Maya is home to the most experienced and knowledgeable Cave Diving Instructors. Mexico has the most extensive underground river systems in the world, and with the best cave diving conditions, you can find anywhere. 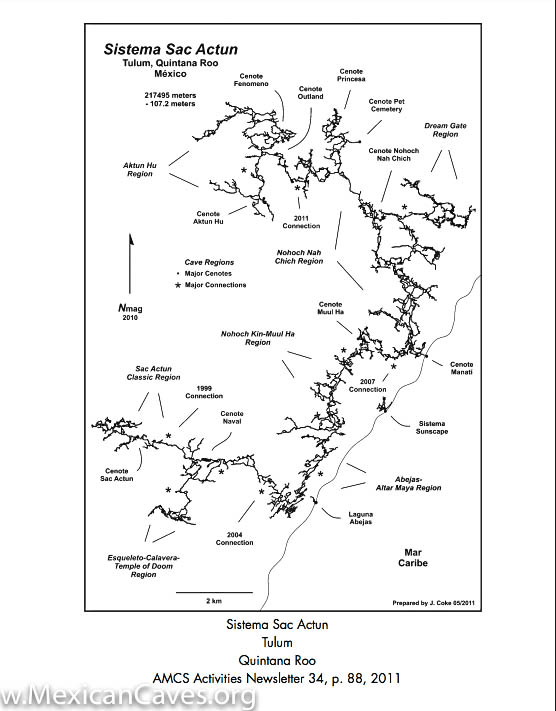 Easy access to cave entrances, thousands of openings within a 50 km radius, low water flow, excellent visibility, abundant speleothem formations, fossils, halo-clines, shallow depths that allow for great penetrations and a great variety of cave sizes and profiles. We want to Congratulate the explorers of the Gran Acuífero Maya project, especially Robbie as well as give tribute to the great Bil Phillips, who was part of the project. Find out what it takes to become a Full Cave Diver!